Norwood’s alt-rock band Three Days Grace has been nominated yet again for Juno Awards. The list of nominees for the 2019 Junos was released earlier today (January 29), with the four-time Juno winners receiving nominations for Album of the Year and Rock Album of the Year for their 2018 release Outsider, as well as Group of the Year. The band has its roots in Norwood in 1992, when Adam Gontier, Neil Sanderson, Brad Walst, Phil Crowe, and Joe Grant formed Groundswell while most of the members were still in high school. That band broke up in 1995, but two years later Gontier, Sanderson, and Walst reformed as Three Days Grace. Gontier left the band in 2013 and was replaced by Brad Walst’s young brother Matt, the vocalist from another Norwood band, My Darkest Days. 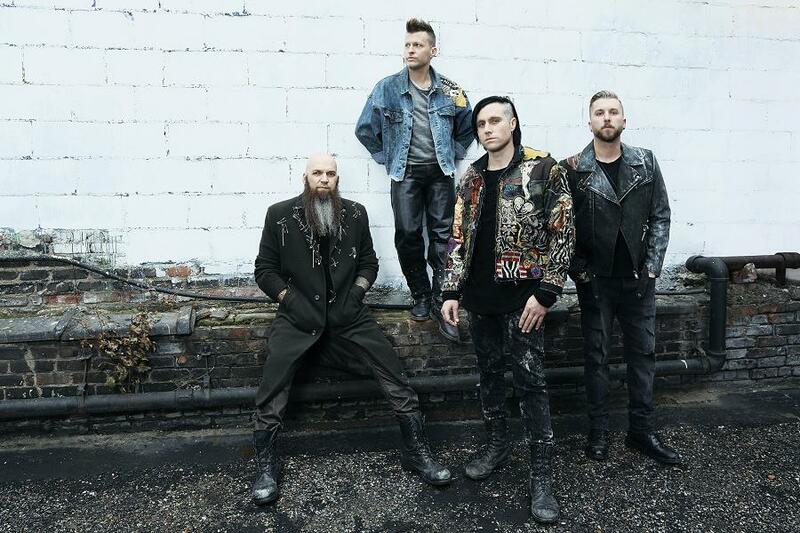 The current line up is Matt Walst (lead vocals), Barry Stock (lead guitar), Brad Walst (bass guitar), and Neil Sanderson (drums, piano, backing vocals). Brad Walst has a home in Norwood and Neil Sanderson owns a farm in the area. Last September, Sanderson was the guest speaker at the sixth annual Team 55 Let’s Tackle Suicide Awareness event in Peterborough (Sanderson attended and graduated from Adam Scott high school). Their Juno-nominated record Outsider was written in Norwood, at Brad Walst’s home and at Sanderson’s farm. For Album of the Year, Three Days Grace is up against Hubert Lenoir, Jann Arden, The Weeknd, and Shawn Mendes (who leads the Juno nominations with six). For Rock Album of the Year, they’re competing against Arkells, Monster Truck, The Trews, and The Sheepdogs (whose most recent member is Bailieboro native Jimmy Bowskill). Fellow nominees for Group of the Year are Arkells, Chromeo, Metric, and The Sheepdogs. The 2019 Juno Awards will be held on Sunday, March 17th at Budweiser Gardens in London, hosted by Sarah McLachlan.